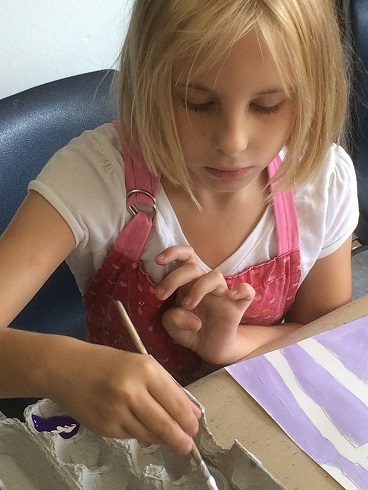 Develop new skills while drawing and painting! Explore still life, portrait, landscape, and working from your imagination! Work in the art studio and on easels en plein air (“in the open air”) in the sculpture garden. Learn about color, texture, work from photographs and observation, and learn how to make your works of art look realistic (even when you are creating something imaginary). Students who took Drawing and Painting 1 last summer will engage in new learning experiences, and discover new challenges and approaches to art making in this class.